More changes on YouTube. Wonder where your Playlists, My Channel & Video Manager went? Navigation gets easier and shorter with the Creator Studio button. After clicking CREATE STUDIO, click the CREATE button (bottom icon, LHS) to access your library of audios (music and sound effects) that you can also download easily. Not only does Youtube make it easier and shorter to navigate all round your site it also offers a wealth of resources to help you edit or create videos fast and easily. 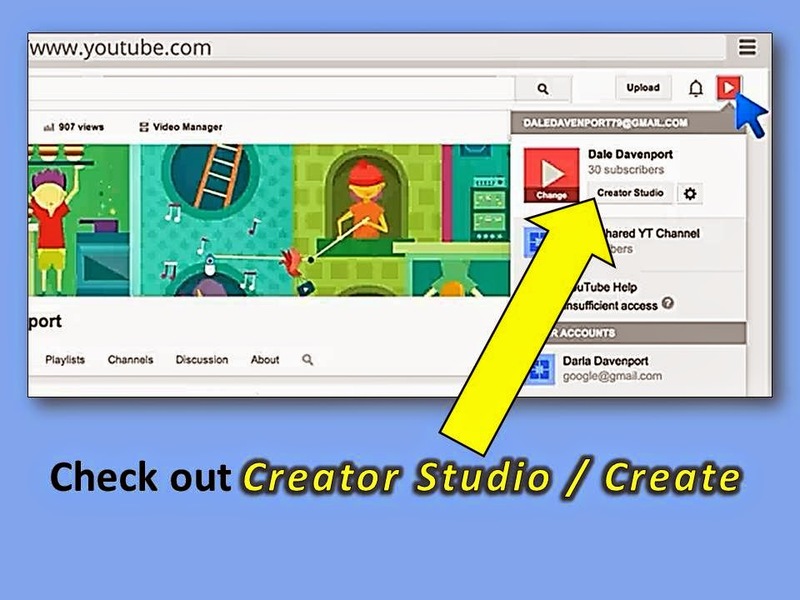 So if you wish to add audio or edit an unpublished video just upload from your PC to YT then click on CREATOR STUDIO > CREATE > VIDEO EDITOR and then start editing. You can also edit existing videos already on your channel this way. Or use the repertoire of creative common videos or other (click on the relevant icon when in VIDEO EDITOR mode) - present in YT's library to remix and produce a new video altogether. Add audio and / images (from your Google accounts, using drag-and-drop), insert text, transition effects between each frame, and front and end-credits to complete your project. Invest a little effort for a professional look and voila! no one can guess that your video was a remix that you rustled up on the spot on YouTube and in just a few minutes! In addition you have another valuable content resource with a good shelf life to add to your growing marketing arsenal, with positive traffic connotations - all good news for you! click PUBLISH when satisfied with your results. wait until it's processed and complete editing until you're happy with your video.